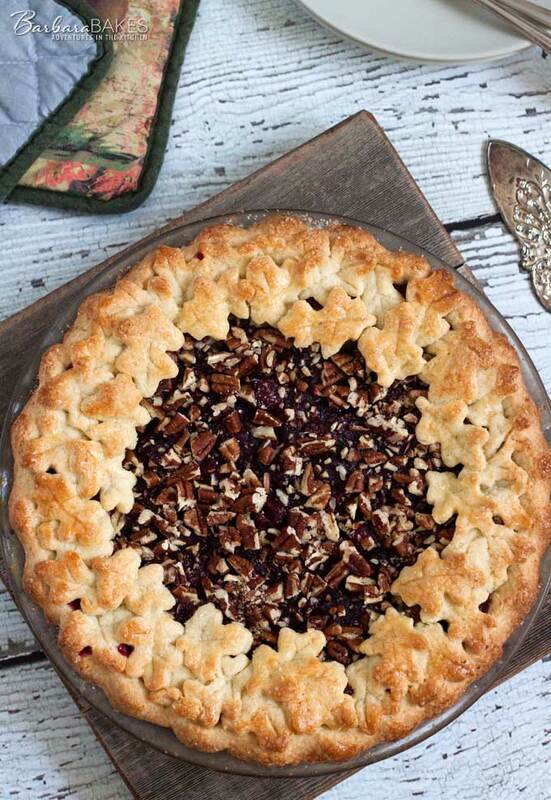 This Cranberry Pecan Pie is an easy-to-make pie made from fresh cranberries, crunchy pecans, and a sweet pie dough.
. Nick is a best selling author of 12 cookbooks. 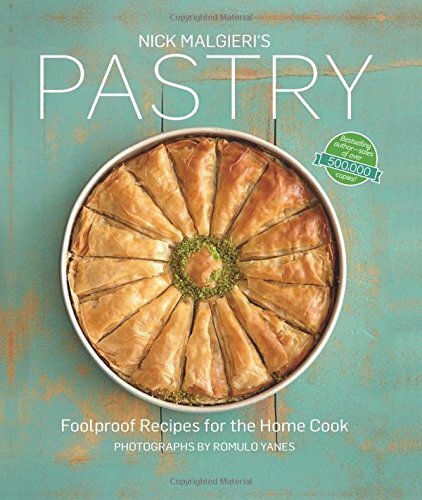 His newest cookbook is filled with luscious, creative pastry recipes, along with great step by step photos and instructions. Since Thanksgiving is next week, I was drawn to the cranberry pecan pie recipe. The cranberry filling is cooked on the stove with orange juice, orange zest, and sugar before adding the pecans and baking it in the oven. Warning: this pie has a tart and tangy filling that might not be sweet enough for some people. That said, I love the tangy quality of this filling and wouldn’t want it to be any other way. By the way, since the filling is cooked before the pie is baked, you can taste it and add a little more sugar if you want. I tasted the filling before adding it to the crust and I really liked the tanginess of the filling. My husband did too, especially when served with a dollop of sweet whipped cream. 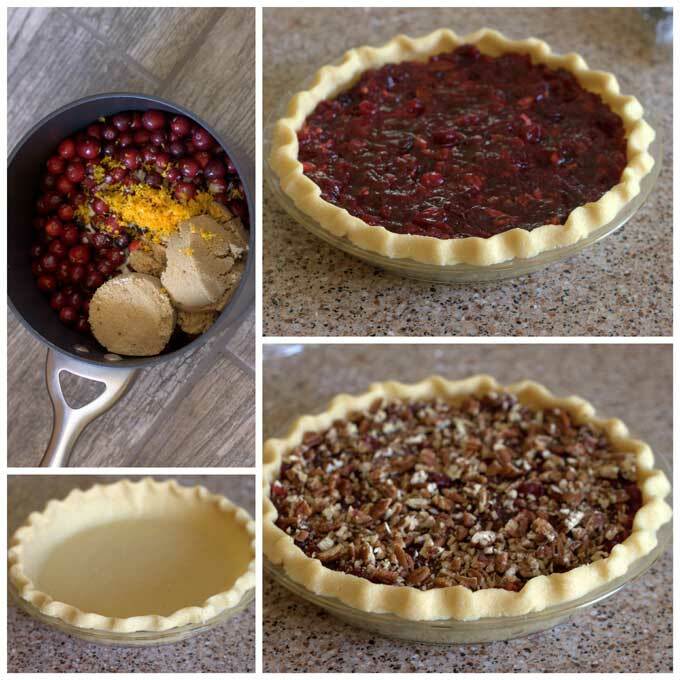 The filling is paired with a sweet pie crust that also helps balance out the tanginess of the filling. I didn’t expect to like the crust as much as I did. I generally prefer a super flaky pie crust to a sweet crust, but I have to admit I loved this sweet crust paired with the tart filling. The pie in the cookbook has a simple crust, but I was inspired to do a leaf design on top by a pie I saw in Martha Stewart Living. I bought some little leaf cookie cutters at Zurchers, then used a butter knife to make the veins in the leaves. I egg washed the leaves and sprinkled them with coarse sugar. After baking, the leaves tasted a little bit like shortbread cookies. My husband and I were the only two who got to taste the pie. I only cut out one piece so we could review it for this post. Then I wrapped the pie up tightly with plastic wrap and popped it in the freeze to serve on Thanksgiving. I wasn’t planning on saving it for Thanksgiving, but it looked so pretty, and when my daughter saw the pie on Instagram she asked if it was for Thanksgiving. So I told her yes, and froze it for her before her brothers quickly devoured it. 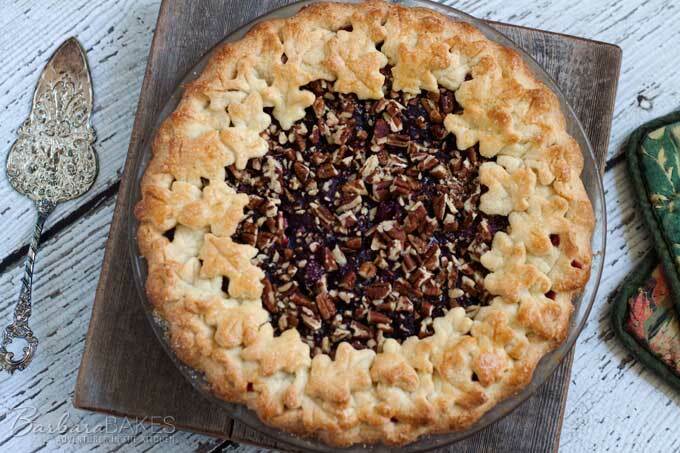 This pie is perfect for Thanksgiving, and I’m sure your family will devour it too. Combine the cranberries with the rest of the ingredients except the pecans in a large nonreactive saucepan. Bring the mixture to a simmer, stirring often, and cook at an active simmer until slightly thickened, about 5 minutes. Don’t overcook, or the filling will be hard after the pie is baked. Let cool. 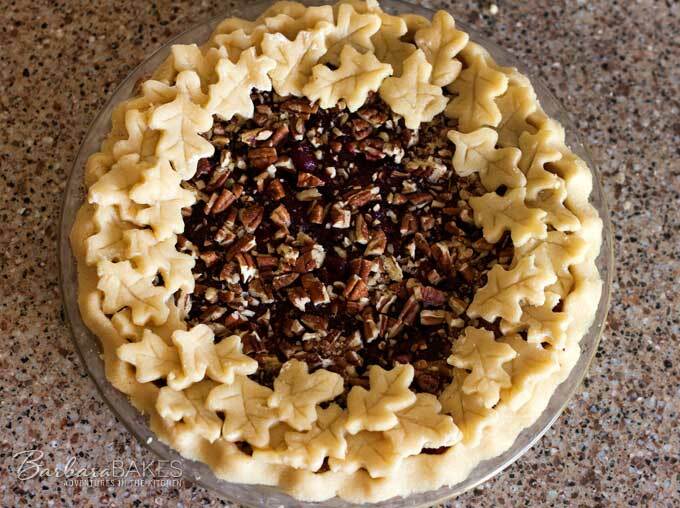 Stir half of the pecans into the filling and pour it into the prepared pie crust. Smooth the surface and scatter the remaining pecans on top. Place the pan in the oven and decrease the temperature to 350°F. Bake until the crust is baked through and the pecans are toasted, 35 to 40 minutes. Cool the pie on a rack and serve it at room temperature. *If you want to make the cookie leaves for the top of the pie, you'll need to make two 9-inch pie crusts. The pie is beautiful! And Nick’s recipes are so good. Thanks for sharing. I have enjoyed your blog all year long – what a wonderful baker you are! What a sweet comment – thanks so much Kel! I hope the new year brings you all wonderful things!